Information for Parents on Alcohol and the Brain. If you ordered a pizza recently, you may have noticed a sticker on the box telling you that 38% of Upper Merion teens believe that getting alcohol is as easy as getting a pizza. Why would parents provide alcohol to minors? What is the Pennsylvania Law on providing alcohol to anyone under 21? So what can parents do to keep their kids safe and prevent underage drinking? Share these Ten Tips for Prevention with your tweens and teens. Since adolescents are prone to mood swings, it can be tricky to determine if your child’s behavior is a normal part of growing up or whether your child may be experiencing a mental health issue. The key is to observe your child, and pay attention to the moods that are normal for him/her. If your child’s mood changes and stays that way for two weeks or more, then it is time to seek help. The sooner you seek help, the better the outcome for your child. Early intervention can reduce the likelihood of symptoms recurring. Presented by Patricia Gallagher, Kathy Opperman, and Genia Silva from Pillars of Light and Love. The tween years are a time for challenge and transition. It is an ideal time to prepare your child for the teen years and do what you can to make their future journey a little less bumpy. It is the time to make sure they have the tools to address everyday life issues so that they are better equipped for their teen years. Does Your Child Have All Their Assets? 40 developmental assets Divided by age group. 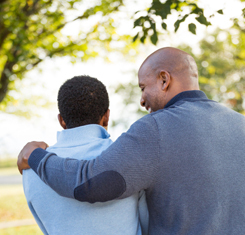 Parents have a lot more influence than they realize when it comes to a teen's decision to drink alcohol. In fact, 3 out of 4 kids say that their parents are the biggest influence in their decisions about alcohol. Informed, caring parents can make a difference! Your kids are listening! What will you say? Start the Talk is like a video game that helps you learn the do’s and don’ts of talking to kids about underage drinking. Using avatars, you’ll practice bringing up the topic of alcohol; learn the questions to ask; and get ideas for keeping the conversation going.